Still going strong after three decades at the helm of Social Distortion, singer, guitarist, and songwriter Mike Ness has never been accused of being shy. 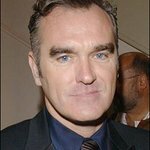 Now, the pioneering punk rocker is using his famous voice to speak out in behalf of animals as he appears in a brand new pro-vegetarian ad for peta2—the world’s largest youth animal rights organization. In addition to causing massive animal suffering, meat production is a leading cause of greenhouse-gas emissions, water pollution, and land degradation. Also, eating meat, eggs, and dairy products has been linked to heart disease, strokes, diabetes, obesity, and cancer. Social Distortion formed in the late ‘70s in Orange County, Calif., where Ness still makes his home. His music runs the gamut from loud, uncompromising punk rock to country to blues. The band’s new album, Hard Time and Nursery Rhymes, debuted in the top 10 on the Billboard 200 following its January release. 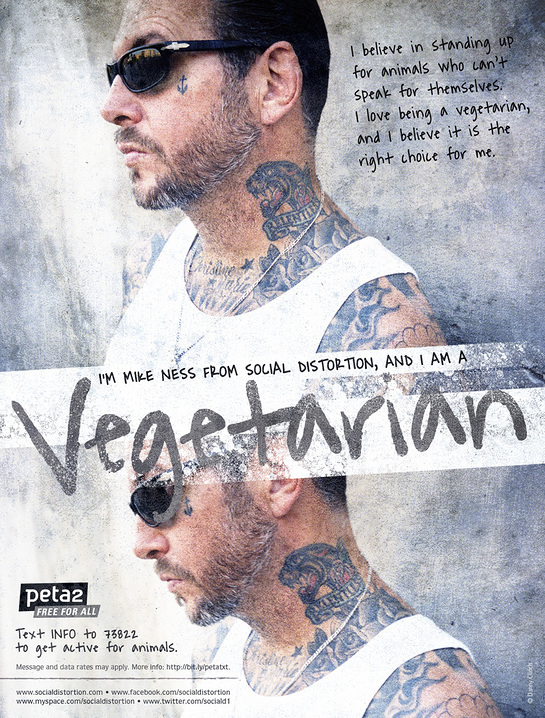 The ad is part of peta2’s series of vegetarian testimonials that star a growing list of musicians and other celebrities, including Rise Against, Chris Walla of Death Cab for Cutie, Ted Leo, and others. For more information, please visit peta2.com or click here.